Rooting Android is not a complicated thing now, since there are so many one-click tools like Root Master, Framaroot, Kingo, etc. Even some tools allow us to root Android without computer. The Chainfire’s developers never sleep, I think, they are the first hackers who managed to root Android Lollipop. And now, you can root any Moto G and Moto X models with CF-AUTO-ROOT tool – with ease, too. Download CF-AUTO-ROOT below, please match with your Moto model to make sure this is gonna be working. – Unlocked bootloader, Motorola provides a defitinive guide here. – ADB & Fastboot installed on your computer, plus all working drivers. 1. Put the CF-AUTO-ROOT into your computer storage, extract the zip file. 2. Since you have unlocked bootloader, I recommend you to flash the img file manually. FYI, there are executable scripts which compatible with Windows, Mac, and Linux. The scripts will execute some commands, including to unlock bootloader. So, you don’t need to use those scripts. Reboot to fastboot mode: turn off device, press Power + Volume Down button simultaneously. Connect the device to the computer. 5. Wait until the process finished, and your device will be rebooting automatically. 6. 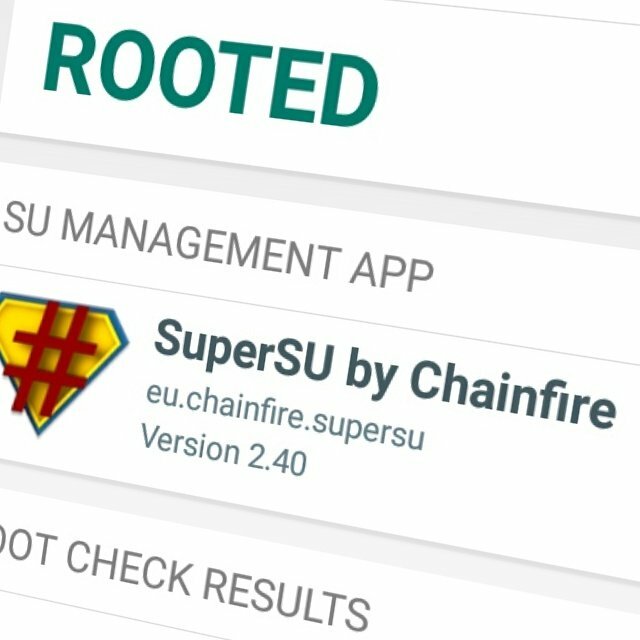 Now you have SuperSU installed on your Moto G or Moto X, use root check app to make sure your device is successfully rooted. I’ve rooted my Moto G XT1033 with Android 5.0 Lollipop with this method, and it works nicely.